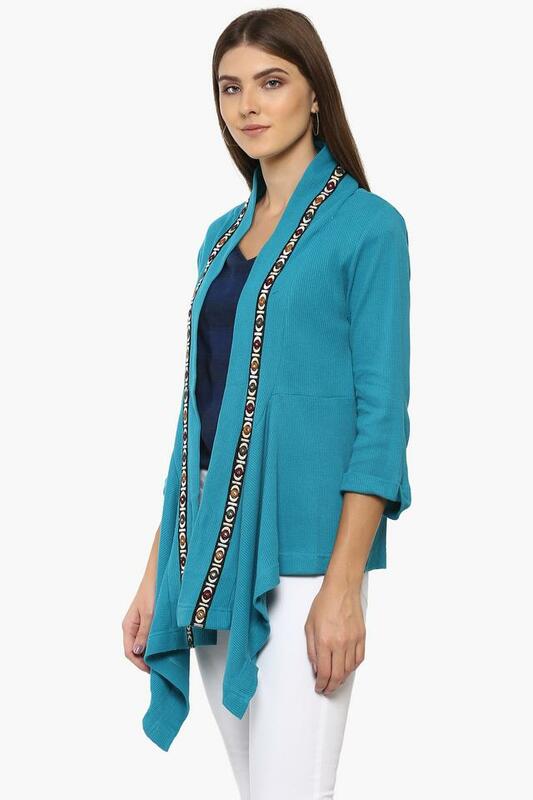 You will fall in love with the unique style of this shrug brought to you by popular brand Imara. Featuring a solid pattern with an embroidered detailing, it looks very trendy. Besides, it has been tailored with fine quality fabric to make certain that you stay comfortable all through the day. Pep up your style quotient by wearing this trendy shrug on any casual occasion. 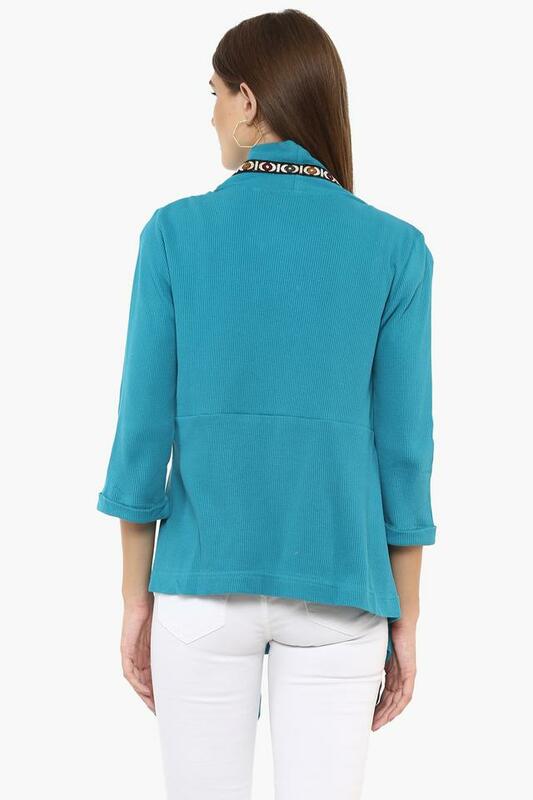 You can wear it over a wide range of tops along with jeggings, jeans or capris to walk in style.